/ Classic Cars / Who is Max Hoffman? Hugely influential automotive figures for one-thousand please, Alex. If you’re one of the millions of Americans with an affinity for European automobiles, you’re a part of a fan base dating back several generations to the early 1950s. Though long before any of the European auto marques prowled our roads and interstates, Americans largely bought Detroit-made automobiles. In that sea of land yachts, endless chrome, and tail-fins proliferating from a booming industrial revolution and war-driven economy, foreign automobiles of any kind were virtually non-existent, except for the few aristocrats who could afford the really expensive ones. The presence of European automobiles on U.S. soil wouldn’t be if it wasn’t for one ambitious man with a knack for fine automobiles and a rather extensive dealership network: a Mr. Maximillian Edwin Hoffman. Max Hoffman is credited for single-handedly introducing European cars to the world’s largest market for the automobile at the time. 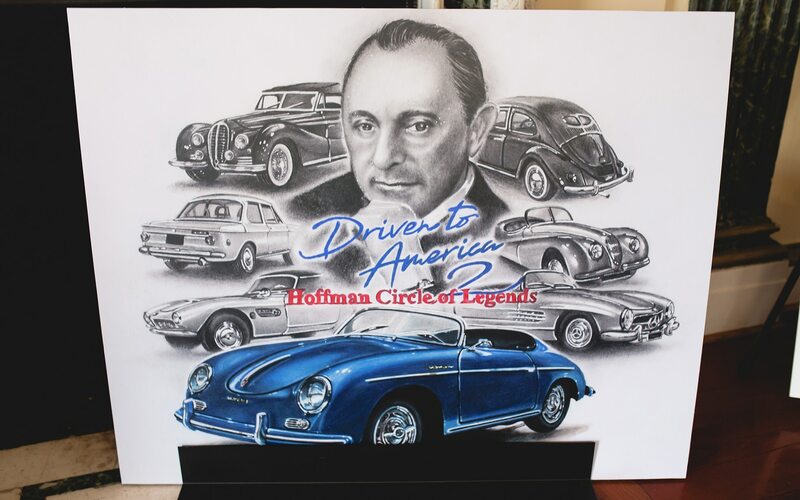 And at this year’s massive and second annual air-cooled Porsche gathering, Driven to America, in Long Island, New York, Mr. Hoffman’s presence was acknowledged with the display of his “Circle of Legends,” or all of the key models Hoffman introduced to American buyers for the first time. 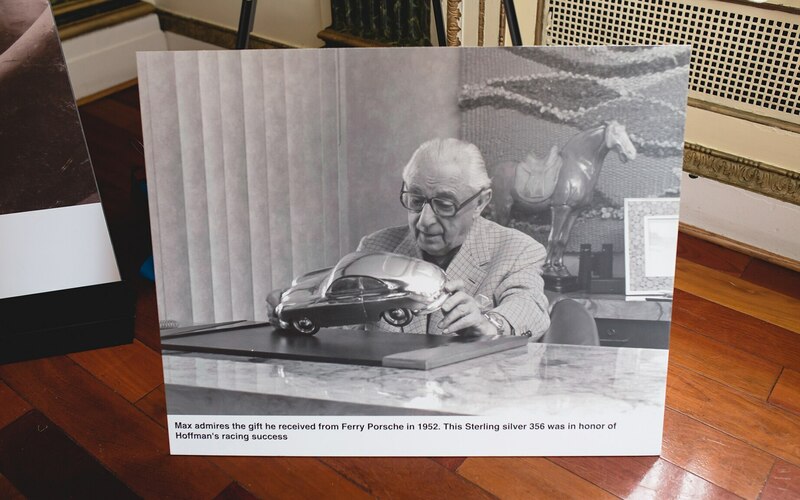 Hoffman was celebrated in conjunction with Porsche’s 70th anniversary as a sports car maker. The company’s presence on U.S. soil, along with nearly every other major European manufacturer, would not be without the efforts of Mr. Hoffman. Hoffman’s U.S.-based operation officially began on the East Coast after immigrating to the U.S. and fleeing the grasp of Germany’s Third Reich. He opened up his first American dealership, Hoffman Motor Company, in 1947 initially selling Jaguars and eventually, Volkswagens by 1948. By 1952, he opened the flood gates to Mercedes-Benz models, allowing him to gain an understanding for America’s interest in fine European automobiles. Hoffman’s first major move however occurred when he suggested that Mercedes-Benz produce a road-going version of Rudolf Uhlenhaut’s record-breaking W194 300SL racecar, driven by none other than the likes of Juan Manuel Fangio and Stirling Moss. He anticipated the street-going variants and the idea of a toned-down Grand Prix racer for the road would bode well with the flamboyant tastes of wealthy Americans. But Mercedes-Benz wasn’t quite in synchrony with the idea, until Hoffman himself placed an order for 1,000 examples before the project could gain approval. His determination and belief in its success eventually led to the birth of the legendary W198 300SL Gullwing and W121 190SL roadsters. Its first actual customer: none other than the one and only Briggs Cunningham. 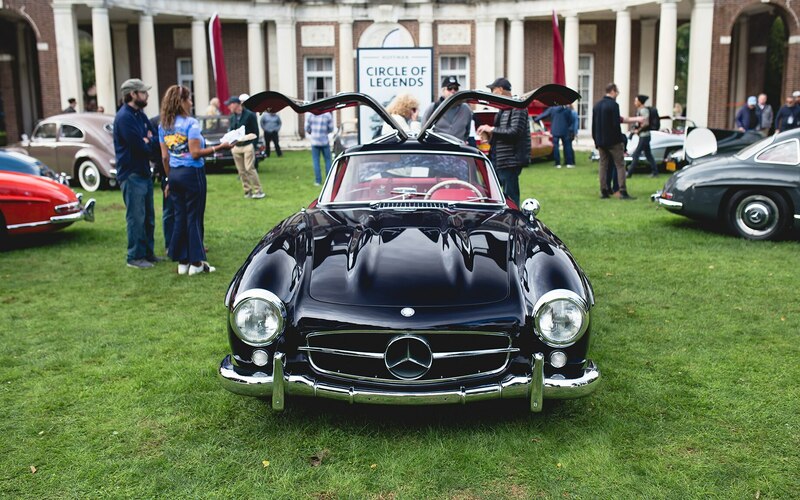 In 1954, the Gullwing debuted at the New York Auto Show after Hoffman convinced Mercedes-Benz to build it. From that, he secured the rights as the sole official importer of Mercedes-Benz with his own dealership network that he personally built up since 1947 out of the New York area, selling the finest automobiles Europe had to offer to rich Americans. He then expanded his operation, utilizing his accumulated expertise and understanding of the U.S. luxury car market to coax BMW into developing the 507 as a more affordable German sports roadster alternative to the Mercedes-Benz 300SL, using influence from the 501 and 502 sedans. Along the same lines, he later convinced Porsche to cut the roof off its all-new Type 356 coupe to make a high-performance sports roadster, leading to the birth of the 356 Speedster. Word on the street is that he even designed the company’s iconic insignia. And he even played a major role in making Alfa Romeo come up with the Giulietta Spider. But Hoffman didn’t just dedicate his business to exclusive luxury sports cars. His efforts played a monumental role with introducing the Volkswagen Beetle and the BMW 2002 to the U.S. market. Further, his showroom space wasn’t limited to just German automobiles, as he also imported Alfa Romeos, Austin-Healeys, Fiats, MGs, and other famed European marques. Born and raised in Vienna, Austria, Hoffman lived out most of his early life perpetuating his father’s bicycle manufacturing operation and later, as an amateur racer. He retired from the sport in 1934 and commenced a career importing the most opulent American iron available into Austria, from the likes of Duesenberg, Cord, Auburn, and Pontiac. Hoffman was also the first agent to pitch Volvos outside Sweden’s domestic market. With the rise of Germany’s Third Reich encroaching its way into Austria because of the Anschluss of 1938 and Hoffman in disagreement with its rhetoric, particularly since Hoffman himself had Jewish ancestry, he relocated his business to Paris. But a few short years later in 1939, Britain and France declared war on Germany, forcing Hoffman to cross the Atlantic and settle down in the New York area. Unfortunately, after arriving on U.S. soil on December 7, 1941, Hoffman had to temporarily shelve his car dealer operation since automobile demand within the U.S. virtually vanished as the country focused on fighting the Axis powers. Let alone, nobody in America had interest in European automobiles, especially German ones, and battered European automakers weren’t exactly in the position to continue manufacturing passenger vehicles either. To make ends meet, Hoffman temporarily and successfully took up the business of manufacturing costume jewelry. But Hoffman insisted that those cars were already available, albeit, just from Europe and with levels of sophistication never seen before. As a result, interest in European automobiles skyrocketed. Such marques ranged from French Delahayes, to Italian Lancias, and British Jaguars—most notably, the Jaguar XK120, a personal favorite of his. It was then that he became the sole importer and distributor for both Mercedes-Benz and BMW, and eventually Volkswagen. And upon receiving the first set of 20 Volkswagens ever shipped to the U.S., this transaction led to his introduction to Porsche. Through the 1950s, Hoffman continued as the sole importer of those major German marques, coordinating the sale of Mercedes-Benzes through the Studebaker-Packard corporation. With Daimler-Benz AG seeing the market potential in the U.S. themselves, they decided to embark on a mission to establish its own dealership network in America, cutting ties with Hoffman by 1957. By this point, Hoffman’s initial contract with Jaguar and Volkswagen had long-since been in the garbage bin and he sought new efforts. 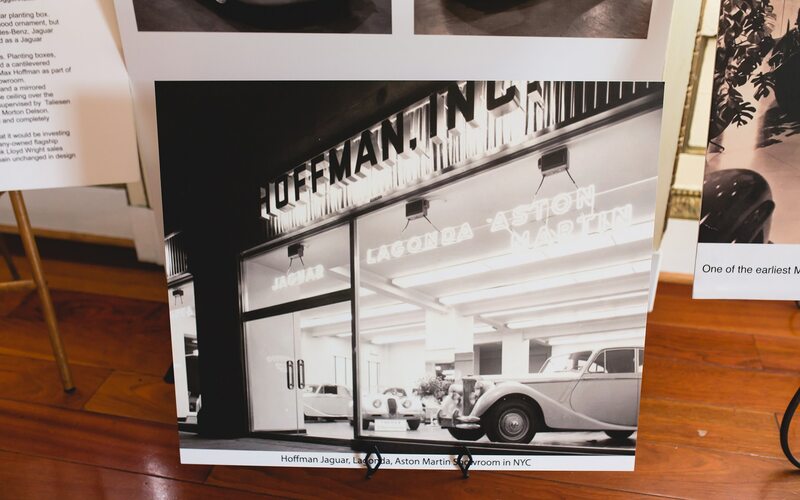 Witnessing growing success with BMW in America, Hoffman went full-speed ahead with the brand. He persuaded the at-the-time reluctant and financially conservative management to build a two-door version of its newly introduced 1500 and 1600 “New Class” era of passenger vehicles, complete with a new 2-liter engine, specifically for the U.S. market. And thus, the 2002 was born and from its profound success in the U.S., it led BMW to establish its North American operation. With Mercedes-Benz dominating the European full-size luxury sedan segment in America, Hoffman further convinced BMW to follow the America’s popular hot rod and muscle car formula of the 1960s of “fitting the largest engine in a lower optioned, lightweight version” of its automobiles, with its 2500 and 2800 sedans (also known as the Bavaria), establishing a line that would soon become the famed 7-Series. 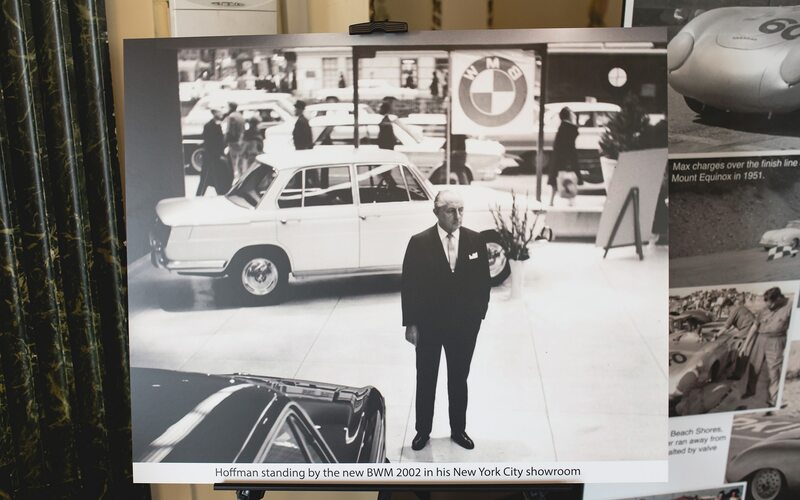 Hoffman’s introduction of the Bavaria would later mark the end of his efforts as a car importer in the U.S. as he retired from the auto business in 1975, selling off his remaining company to BMW. And in 1981, Hoffman was laid to rest. But Hoffman’s legacy remains with millions of buyers still flocking to European automakers as the choice for their set of wheels. So the next time you appreciate a European automobile on U.S. soil, you can pretty much thank Mr. Hoffman for making European imports less foreign to American buyers. 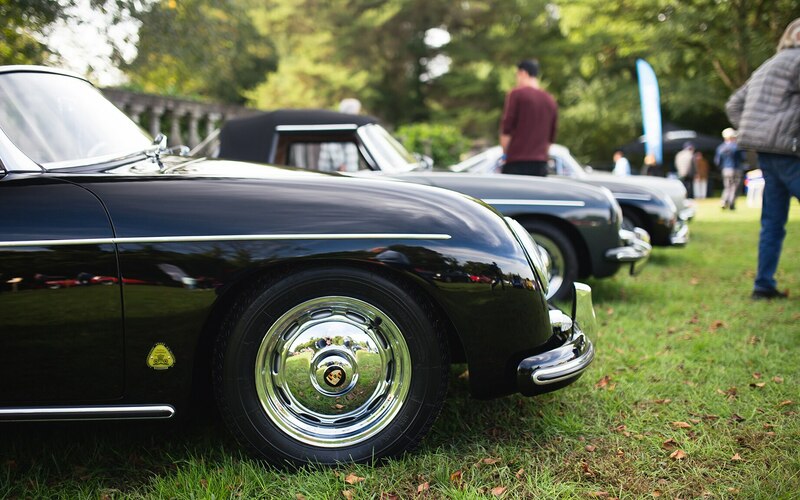 Check out Five Favorite Porsches from the Driven to America 2 Car Show.